The love story of Romeo and Juliet is one of the most popular Shakespearean plays and its various film incarnations have achieved great success and acclaim. The film experience though often goes beyond entertainment to become social commentary and the timeless quality of Shakespeare’s plays makes an excellent platform for this type of filmmaking. While not everyone can relate to the revenge and madness of Hamlet, or the lust for power by Macbeth, we all have fallen in love. Therefore, it is no surprise that Romeo and Juliet is a favorite for actors and audiences alike. The challenge with Shakespeare is to relate the timeless themes to the ever-changing time and culture of the audience. 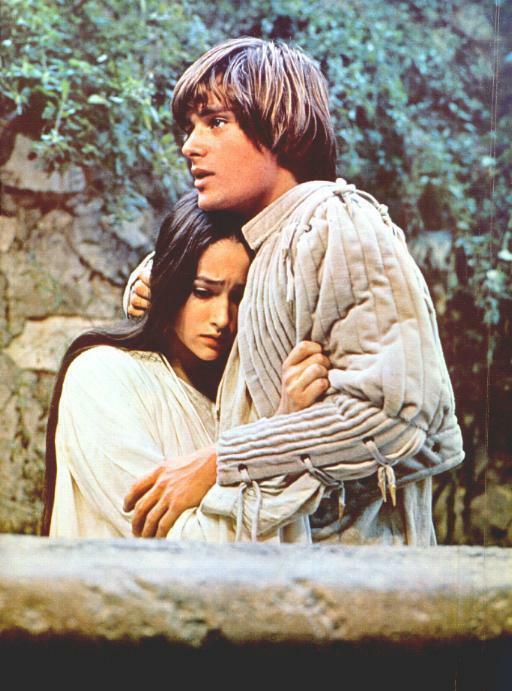 Romeo and Juliet proved to be the perfect vehicle for such an approach, particularly as seen in the 1968 and 1996 film adaptations. Franco Zefferelli’s 1968 film version is closest in production to what is considered the historical origin of Romeo and Juliet, Northern Italy during the Renaissance. The costumes and scenery are all geared to that time period and great care was taken to present the play in as authentic a surrounding as possible. Although Zefferelli shot many scenes in Verona, he found the alleged Capulet home and the local church not the best places to film. Instead, he chose scenic Tuscany and Umbria as more appropriate to his needs (Hartung and Simon 206). Leonard Whiting and Olivia Hussey, both teenagers at the time, are about the same ages as Romeo and Juliet were intended to be and they convincingly handle the Shakespearean dialogue with admirable proficiency. One criticism is that Zefferelli, Franco Brusati, and Masolino d’Amico (the screenwriters) cut and chopped the original Shakespeare with abandon. For example, Juliet’s soliloquy before she takes Friar Laurence’s potion (Act IV, Scene III), which goes on for forty-five lines, is reduced to “Love, give me strength!” (Hartung and Simon 208). While some purists bemoan the loss of even a jot or tittle of the Immortal Bard’s words, it is seldom that even a staged version of the play does not see some changes made to the text. Much of Shakespeare’s English is no longer in common use or simply antiquated. Additionally, Shakespeare often wrote to describe things visually he could not stage. Now that modern technology can create impressive special effects, changes to the text on that basis alone are justified. The enmity between the Montagues and the Capulets in the context of the Vietnam War and political riots in 1968 adds a dimension to the film that later audiences may not pick up. At the time, however, the utter senselessness of the conflict and how it connected to the audience’s lives was not missed. Baz Luhrman’s 1996 adaptation of Romeo and Juliet leaps off the screen and demands your attention. It begins like a gritty 1970’s crime drama and fires away at us with jump cuts and MTV style camera work. In fact, much of the film looks like a music video. Something of a hybrid between West Side Story and Zefferelli’s film version, this Romeo and Juliet is child of both. Social criticisms run throughout the film, as in West Side Story, but are never fully integrated into Luhrman’s narrative. Like Zefferelli’s film, the focus is more on the universal themes in Shakespeare’s work, rather than the retelling of an Italian Renaissance folk story, though Zefferelli does place his film within its original historical context. 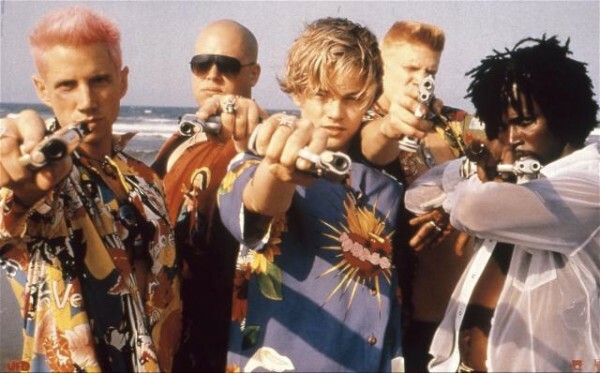 In Luhrman’s adaptation, the Capulet boys and the Montague “ganstas” recall the Jets and the Sharks from West Side Story, the first adaptation to put Romeo and Juliet into a modern context. The racial dynamics are the same (White vs. Hispanic) and music plays a nearly equally important part in both versions. Consider the scene in Luhrman’s film where Romeo convinces Friar Laurence to marry him and Juliet. In the background, the choir seems to be singing a standard religious vocal arrangement when suddenly you realize that it is “When Doves Cry” by Prince. This is a particularly affecting moment, for those who are familiar with the lyrics, in which the singer questions how his parents’ behavior has affected his own. This underscores just for whom the movie was made — young people still working out who they are in a violent world. Luhrman also plays with our sense of reality in the way he depicts the Chorus with an anchorwoman reporting the action in a newsbreak. For me, this aspect of the film recalls the killing of the “Romeo and Juliet of Sarajevo” during the height of 1990s’ War in Bosnia, which made the news in 1993. The star-crossed couple in this case was a young Serbian Christian male and Muslim girl who fell in love. Born literally on the wrong side of the tracks, the couple was killed by snipers attempting to flee across a bridge to a better life. The war kept the bodies from being recovered for eight days (“Romeo”). Luhrman anticipates that the constant exposure to the media of his 1990s-era audience creates a focal point for the cultural references in the film. The influence of West Side Story, the song “When Doves Cry,” and a lingering memory of a news flash from the Bosnian war, contributes to this adaptation of the play as much as do the modern day costumes and Shakespearean dialogue. As a side note, the two young, doomed Sarajevian lovers, Admira Ismić and Boško Brkić, were both born in 1968, the same year Zefferelli’s film was released (“Romeo”). Even among Shakespearean aficionados, few people will sit through every word as originally scripted. One needs only to look at the receipts from Kenneth Branagh’s 1996 film version of Hamlet, which retained Shakespeare’s play word-for-word. Despite the critical acclaim, few people turned out to see a movie that ran over four hours long. With a budget of $18 million, the box office brought in only $4.7 million as compared with the heavily edited 1990 version (directed by Franco Zefferelli and starring Mel Gibson) which ran about two and a quarter hours long and earned $20.7 million (“Hamlet (1996),” “Hamlet (1990)"). While Branagh’s dedication to retaining the original play in its entirety is certainly laudable, it fails in that it neglects the needs of the audience, which was always foremost in mind of the Immortal Bard. After all, Shakespeare was a businessman who dealt in popular entertainment. He had to make practical business decisions and cater to his audience’s tastes when writing and staging his plays, so it is not unreasonable to think that we should also make the same pragmatic decisions today. The differences between the two couples that portray Romeo and Juliet are not so great, but Leonard Whiting and Olivia Hussey provide a passionate and classic performance. Some critics find fault with their performances due to the fact they lacked the polish of the actors who portrayed Romeo and Juliet on the silver screen in the noted 1936 screen version with Leslie Howard and Norma Shearer (Davies 168). To be fair though, Howard and Shearer were 43 and 36, respectively, with a whole career behind them, while Whiting and Hussey were 17 and 15. Nevertheless, what Whiting and Hussey lacked in polish and experience they made up for with passion. Both Whiting and DiCaprio handle the dialogue with great talent and it is hard to choose a better “Romeo.” Some critics, as well as myself, felt Clair Danes was not as impressive as Juliet as Olivia Hussey (Ansen 74). While Danes is talented, one senses an awkwardness on her part with the dialogue and the underlining emotions. Hussey, on the other hand, displayed a practiced handling of the dialogue that, when combined with her youth and believability of her performance, leave an indelible impression. To Danes' credit, her death scene with Romeo was powerful and more haunting than the same scene with Hussey. In comparing these two films, it is inevitable that we take a look at how the social context of the times the films were produced influenced the making and the interpretation of the films. Zefferelli’s film is jokingly referred to as the “Flower Child” Romeo and Juliet (Ansen 73). Even at the time of the film’s release in 1968, at the height of the Vietnam War, “the futility of war” message played up by Zefferelli was strongly identified with by the young audience at the time (Hartung and Simon 207). In Luhrman’s 1996 film, we see the John Gotti-like Lords Montague and Capulet, the Kennedyesque Count Paris, street gangs, drive-by shootings, drug abuse, and a gender-bending Mercutio. It is a world of good intentions corrupted by the “moral pollution” of today’s society (Ansen 73). One common element to both films is how they avoid the slaying of Count Paris by Romeo. Perhaps the implications are too great for the scope of the films. Paris represents the youth who do not question the status quo, and his murder by Romeo seems excessive to modern-day audiences. Despite that, or perhaps because of it, the inclusion of this scene and how it is “interpreted” for the screen could have enhanced the conflict and content of the films, particularly so in the 1996 film version. The timeless quality of Shakespeare’s play not only lies in his ability as a playwright, but also in his talent for choosing subjects that appealed to the most common instincts of his audience: love, lust, jealousy, hatred, pride, madness, revenge, compassion, and cruelty. We are all capable of these acts. We seek movies out not just as an escape, but also as a cathartic experience where we are able to put our passions into the context of the world in which we live. Zefferelli’s and Luhrman’s films succeed because they fulfill that part of our need as an audience. Ansen, David. “It’s the 90’s, So the Bard is Back.” Newsweek 4 Nov.
Cambridge University Press, 1988. Print. “Hamlet (1996).” Box Office Mojo. IMDB.com Inc., n.d. Web. Clair Danes. 20th Century Fox, 1996. Film. Olivia Hussey. Paramount Pictures, 1968. Film. “Romeo and Juliet in Sarajevo.” Frontline. PBS. 10 May 1994. Louis B. Wright. New York: Simon and Shuster, 1959. Print. The poem posted on Aeolus 13 Umbra in December 2012, Medieval Death Poem, was inspired after researching literature produced during the European Black Death/Bubonic Plague. While doing so, I encountered a number of poems that dealt with the psychological trauma and cultural upheaval caused by the plague. Though melodramatic by today’s standards, these verses still have a powerful impact. of all the creatures least in might. The more you play, the more you may. for to the rich, men bow and scrap. Beware, for it continues not. You’re heavy now, who once were light. 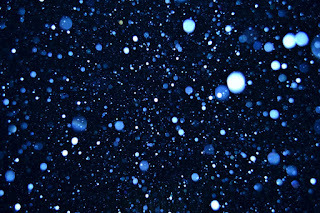 For soon comes Death, and none is spared. How you have lived, you soon shall find. For Death shall come, and he will take you. Easy they come, and easy go. when worms have got you for their fare. Much of 21st Century Western society is built around the prolonging of life and the avoidance of death. To the Medieval European, with a life expectancy on average of 30 years, death was a force of nature that swallowed the rich and poor alike. Money couldn’t delay it, prayers couldn’t assuage it, and the Church was powerless. Indeed, the Black Death/Bubonic Plague, along with the Crusades, is considered one of the causal factors leading to the Renaissance. The Enchanted World: Ghosts. Chicago: Time-Warner Books, Inc.